A further aspect for our work as relocation company is our pocket friendly (Economical) offers. We fairly calculate and take care so that not only our Customers but also our employees are satisfied. We not only offer a complete relocation within Berlin or from Berlin to Hamburg, but also to the surroundings of Brandenburg or even abroad. 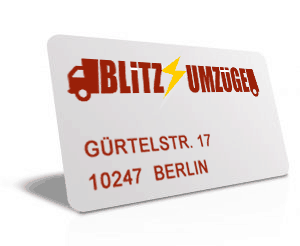 When you want your self transport and need just our moving helpers or for furniture transport in Berlin is required we are always with you. You want a small scale relocation for example a workshop or a WG room no problem! We help you without considering the dimensions of the assignments.